Alleged al Qaeda operative, Abu Anas al Libi, accused of playing a role in the 1998 U.S. Embassy bombings in Kenya and Tanzania, has entered a not guilty plea to terrorism charges brought against him in federal court in New York on Tuesday. 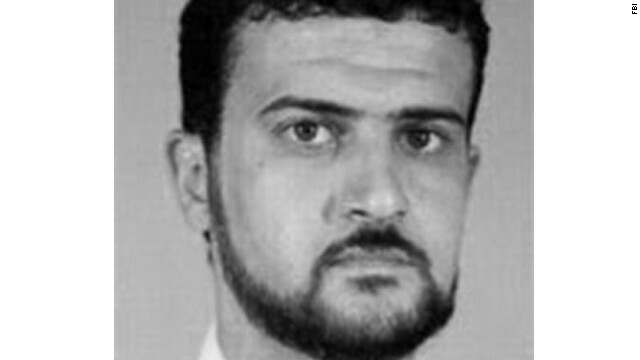 An alleged al Qaeda operative accused of playing a role in the 1998 U.S. Embassy bombings in Kenya and Tanzania is to appear Tuesday in federal court in New York. U.S. Army Delta Force soldiers seized Abu Anas al Libi, a 49-year-old Libyan, on October 5 from outside his house in Tripoli, Libya. U.S. officials say he was taken initially to a Navy ship for questioning before he was taken to the United States over the weekend. His arrival in the U.S. has reopened a debate over whether international terrorist suspects should be tried in U.S. courts. Is this guy guilty or not? That we'll probably never know for sure! Oh they know or they would have never put so much into capturing him. Problem now is the retards brought him into the US so now hhis defence is going to cost taxpayers millions. Hang the rat and be done with it. exactly ! they should just take these people out. The American people don't even need to hear about it. The only thing they need to do is positively id him & pitch him over the side of the ship. It sends a way different message when these suspects just start disappearing from their beds at night vs a long drawn out legal proceeding. Don't you guys want to find out whether or not this man is guilty, U.S.M.C. 1371? Let this man be tried before a totally unbiased international jury or a judge who has not been bought and paid for by the West! Don't be blinded by this right-wing hatred against all Muslims or any other ethnic group. We need a new foreign policy which is not bases on hate as our current one is! Really john or what ever name you go by at the time. Do you really think they would have risked all those assets if they didn't know he was 100% guilty? Wake up coward their are some evil people in this world that need to be eliminated and court is just a waste of time and money. And before you pop off yes I would be happy to pull the trigger on a monster like him.